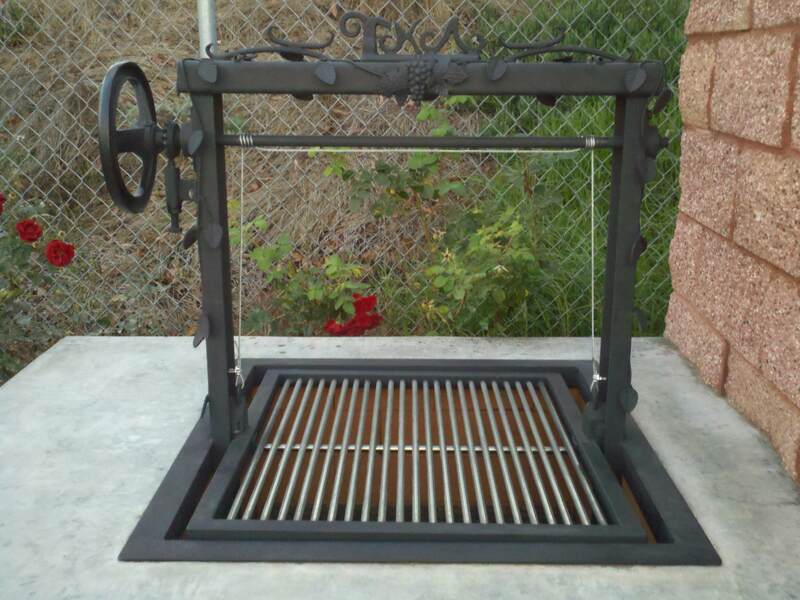 Features a stainless steel frame and grill grate. 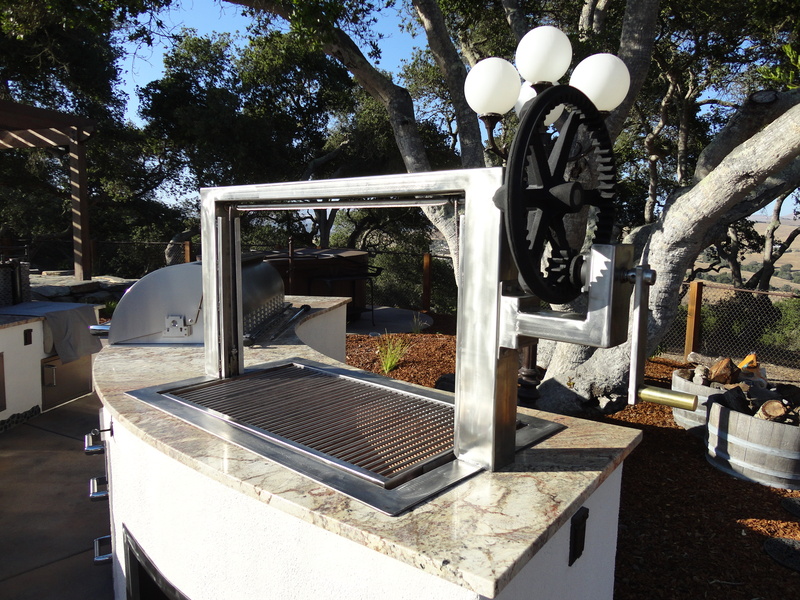 There a vintage Steam Boat Fly Wheel and gear which enables the grills functionality. 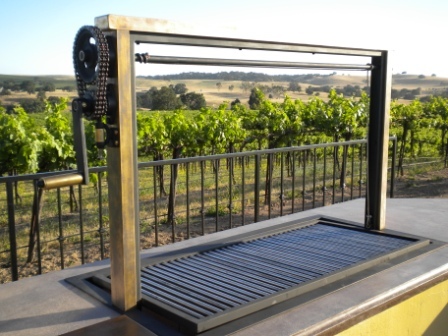 Features high heat black carbon steel, with stainless steel grill grates and signage. 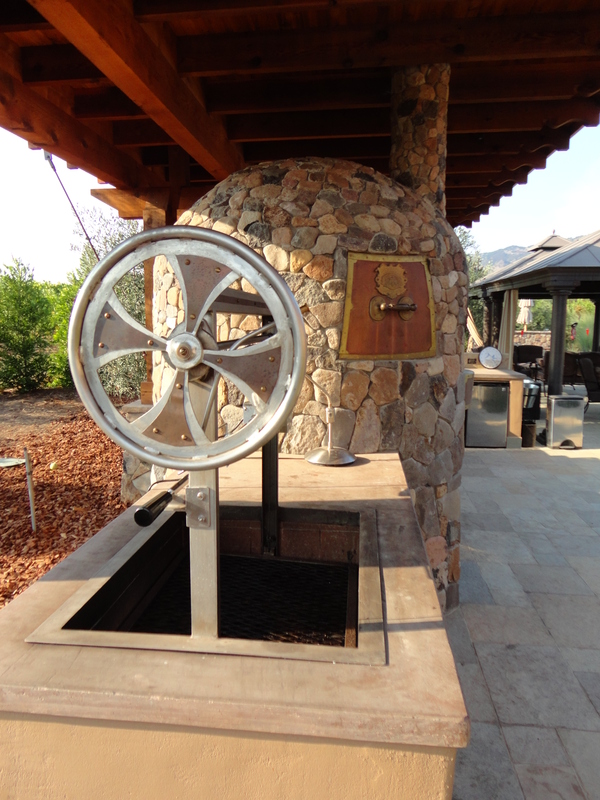 A vintage cast iron wheel was added to math the theme of the build. 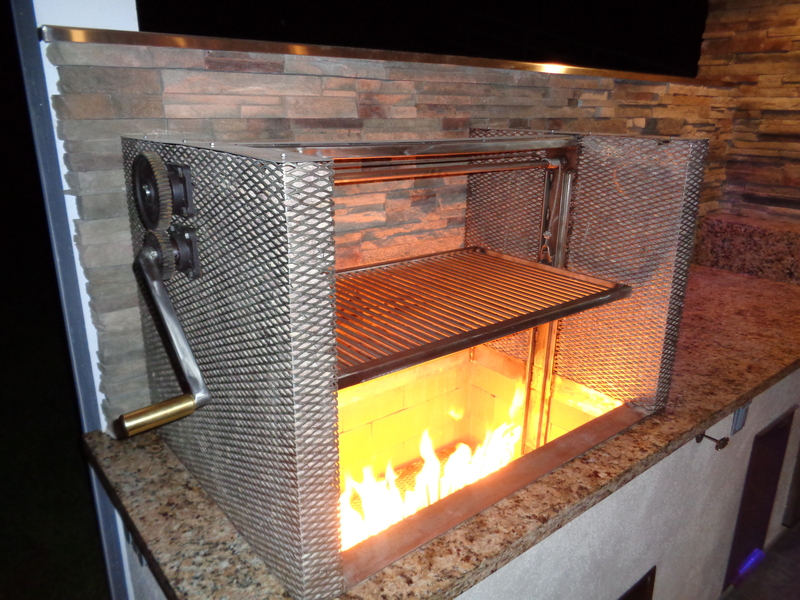 All sits in a custom steel box with gas burner and gas valve. 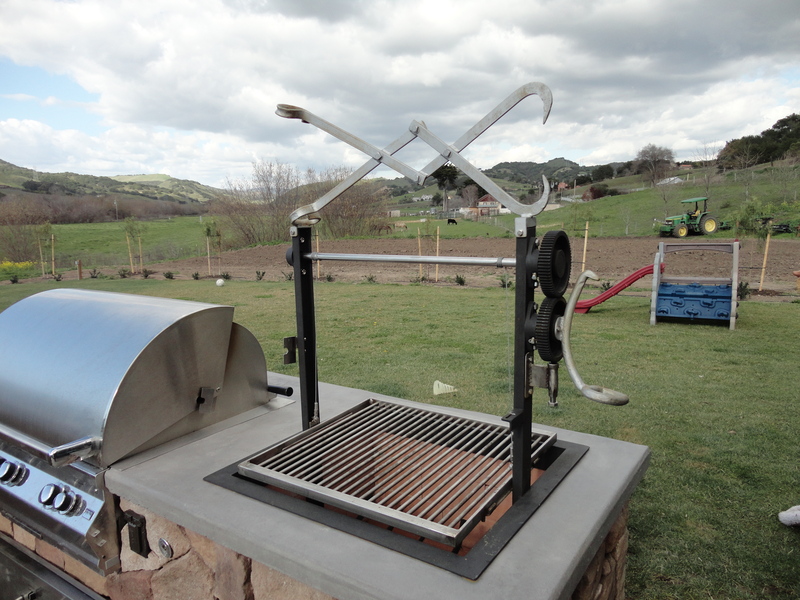 , w/ Iron Frame & Features a steel frame with high heat paint. 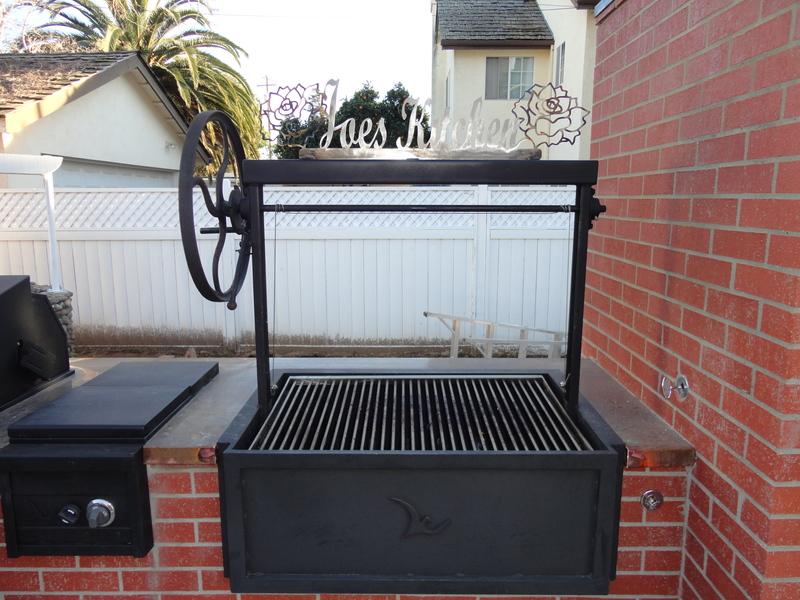 A stainless steel grill grate with deco iron leaves, high heat painted. Constructed out of Stainless Steel & Copper. 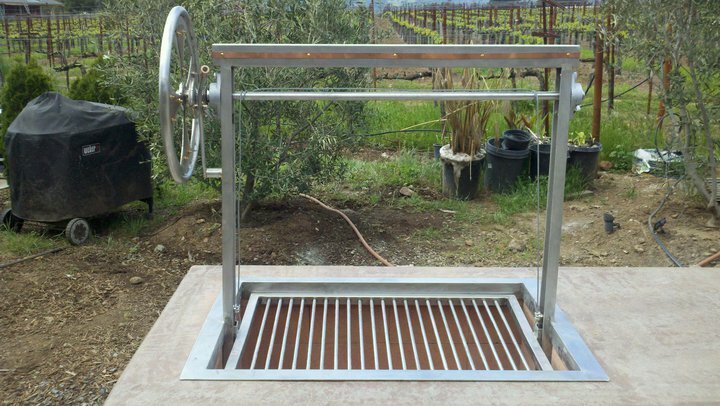 Both the Rottisserie and Grill Grates are removable which lift and lower with a turn of the wheel. 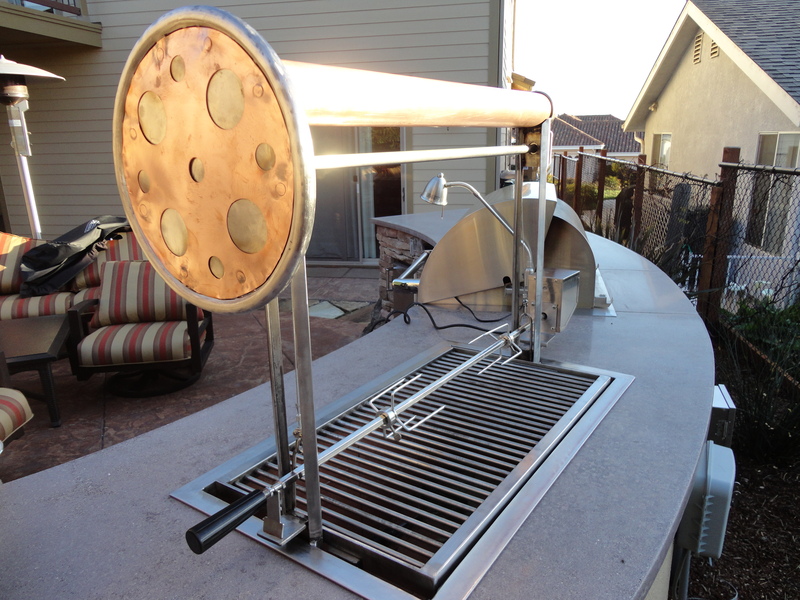 A 3″ copper tube connects the two grill supports. 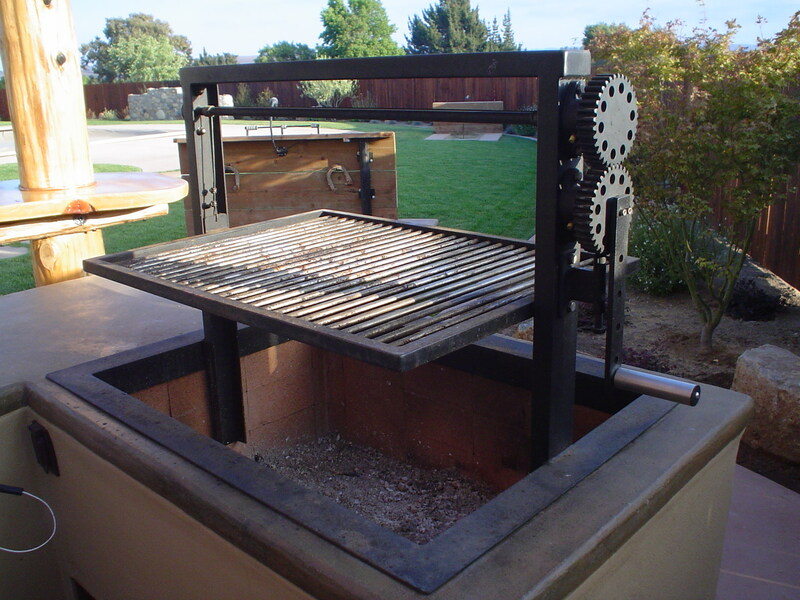 Features a steel frame high heat painted with a stainless steel grill grate. 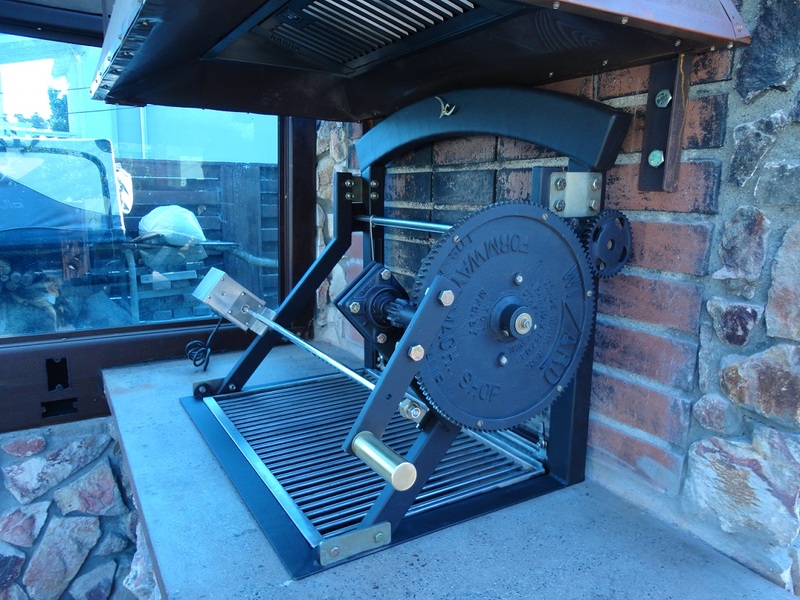 This grill has 2 gears & ratcheting system.